Even as the Great Clans of Rokugan meet each other in battle and try to outmaneuver each other within the Imperial Court, they all vie for the Emperor’s favor. Each contest on the battlefields and in the courts influences the clans’ standing in the eyes of the Emperor, the minds of the courtiers, and the hearts of the denizens of Rokugan. 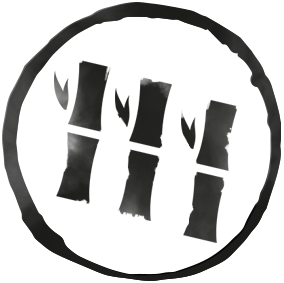 Each Kotei season offers you the chance to contribute to your clan’s standing. There are two types of points awarded at Kotei Series events, Favor Points and Glory Points. These points are tracked throughout the season and will ultimately decide which clans receive two important yearly awards. Favor Points determine which Great Clan is given the honor of hosting the Emperor’s Winter Court World Championship. Many of the event’s decorations and prizes are themed to match the host. Read on to discover where your clan stands in the competition for each reward, and how points are awarded! Each year, the Emperor extends the honor of hosting his Winter Court to the clan he favors most. This is a tremendous honor, for the clan will host the Imperial convoy, including the Emperor himself, as well as representatives from all of the other clans, each of whom must acknolwedge the great honor bestowed upon the hosts. The hosting clan is also honored by the decoration and theme of the Winter Court World Championship. The clan's colors, art, and mon are reflected on many of the prizes, so that earning the Emperor's Favor ensures that your favorable standing with the Emperor will be witnessed by all of Rokugan. 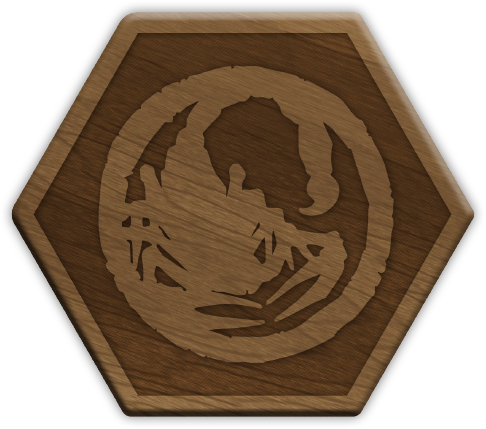 The token box awarded to the Top 8 samurai at the 2018 Winter Court World Championship, hosted in Scorpion Clan territory. Only the most impressive victories and shameful defeats will reach the Emperor's ears. Hatamotos are among a clan's finest and most loyal representatives, and its their performances at Kotei and Grand Kotei events that win or lose Favor Points for your clan. At each Kotei, every Hatamoto who records a winning record will earn 1 Favor Point for their clan, while every Hatamoto who records a losing record will lose 1 Favor Point. At the end of the Kunshu Kotei Series, the clan with the most Favor Points will earn the right to host the 2019 Winter Court World Championships. At each Grand Kotei, Hatamotos earn Favor Points throughout Day 1 the same way they would earn them at Kotei. However, the players who qualify for the Day 2 rounds at Grand Kotei will be able to earn additional Favor Points. Day 2 players earn an additional Favor Point for each victory they achieve from the Top 16 forward. These will add to their Day 1 points, so that a Hatamoto who reaches the Top 8 will earn 2 Favor Points, a Hatamoto who reaches the Top 2 will earn 4 Favor Points, and the Champion of each Grand Kotei will earn 5 Favor Points for their clan. The greatest prize of each Kotei season is awarded to the clan that earns the most Glory Points. The winning clan receives an exclusive new card for a future release. This card reflects an important moment in the Legends of the Five Rings storyline, and the clan's victory represents its critical role in shaping that moment. 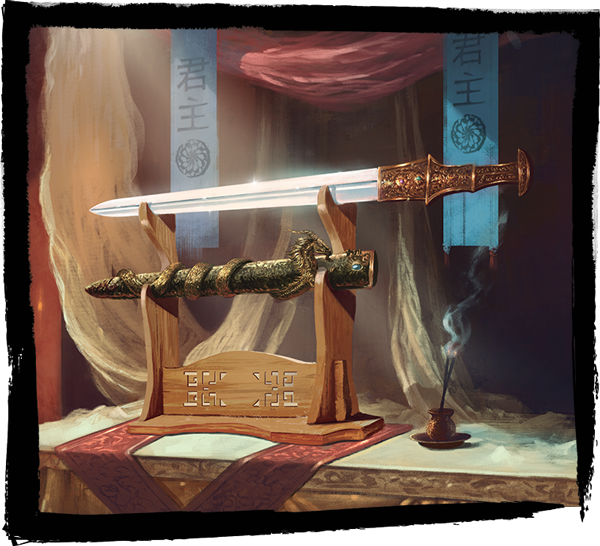 Throughout the Kunshu Season Kotei Series, every player attending a Kotei will be competing for their clan's right to guard the Emperor's ancestral blade, Kunshu. All players who manage to compile winning records will each earn 1 Glory Point for their clan. Players with losing records will not penalize their clan any Glory Points. At each Grand Kotei, the players who qualify for the Day 2 rounds will be able to earn additional Glory Points. Day 2 players earn an additional Glory Point for each victory they achieve from the Top 16 forward. These will add to their Day 1 points, so that a Hatamoto who reaches the Top 8 will earn 2 Glory Points, a Hatamoto who reaches the Top 2 will earn 4 Glory Points, and the Champion of each Grand Kotei will earn 5 Glory Points for their clan.